At Merchants Bonding Company™, we know that many of our associates are involved in their communities and give their time and effort to many worthy causes. So each year we recognize two people, nominated by themselves or their peers, for their extraordinary involvement in their communities. Several associates were nominated this year. Thank you to all the nominators for your dedication in recognizing these Merchants associates, and thank you to everyone who gave to others in 2013! 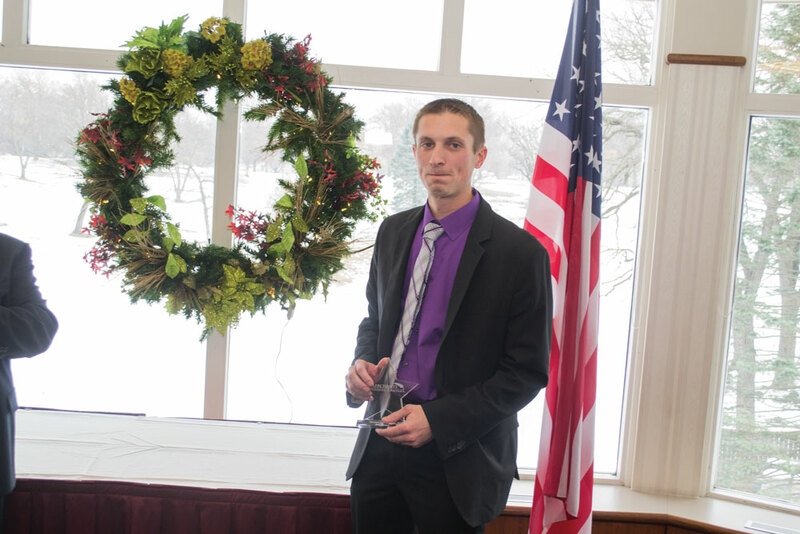 The winner of the 2013 Shining Star Award was Contract Underwriter Jesse Veenstra. Jesse will donate his $2,000 to the Iowa Chapter of the ALS (Amyotrophic Lateral Sclerosis) Association. The ALS Association is dedicated to fighting ALS, or Lou Gehrig's disease. The organization provides funding for global research on the disease and for assisting victims and their loved ones. A few years ago, Jesse and his wife met and became friends with a couple from their church, Mike and Kim Poll. The couples joined a small group together, and then shortly after, Mike was diagnosed with ALS. Jesse has raised money for the ALS Association during the last four years since Mike was diagnosed with the disease, and the fight against it remains personal to him. He has helped the Poll family in many ways and the Iowa ALS Association with its Annual Walk. Jesse also mentors high school and junior high aged young adults, leads the Sunday high school class at his church, leads a monthly small group for boys, and coaches 8th grade boys basketball. The runner up for the 2013 Shining Star Award was Quality Assurance Specialist Connie Mendenhall. She received $500 and will donate the amount to the Benevolent Patriotic Order of DOES, Des Moines Drove #25's charity beneficiary, Paws and Effect. 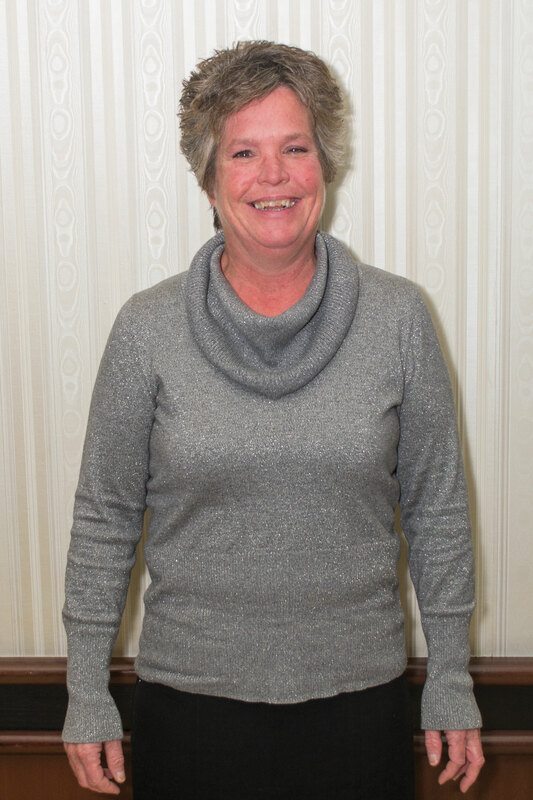 She has been a member of the organization for six years and has received recognition in the past; but this year Connie served as president of the organization and led the fundraising efforts. Paws and Effect raises and trains service dogs for veterans with post-traumatic stress disorder. The drove is very excited to be able to provide this important service to our veterans, and Connie is excited to donate to the specific "class" of graduating service dogs that will aid the grandson of one of the drove members. Connie was nominated by Assistant Vice President, Compliance Officer Connie Israel and Forms Administrator Melanie Wendell. We would like to recognize the others who were nominated for the award. Many Merchants associates give back to the community, making the selection of award winners extremely difficult! We salute these individuals who also deserve recognition as part of the Shining Star Award program. Linda has served on a variety of committees within the company, including the Halloween Committee, the Summer Picnic Committee, and the Wellness Committee. In August, Linda volunteered at the Iowa State Fair to promote the Iowa Food and Family Project, and encouraged people to contribute to the Iowa Food Bank Association. Jennifer volunteers countless hours to AHeinz57 Pet Rescue & Transport in De Soto, Iowa. AHeinz57 is a foster-home-based non-profit shelter for animals. According to her nominator, she is a "crazy dog lady." She spends her time teaching her son the importance of volunteering, is a pet foster parent, a part-time student, and is a member of Merchants' Community Outreach Council (COC). Chris volunteers for three different organizations: the Blank Park Zoo Ambassadors, Everybody Wins! Iowa, and the Young Variety Club, Bikes for Kids. Not only does Chris volunteer for these three organizations, he serves on the Blank Park Zoo Board of Directors, and is part of the COC here at work. He was recently appointed Community Outreach Chair for 2014. Kaitlyn joined the COC in 2013, and contributed much to the committee during the year. She was also involved in other company efforts, including the Summer Picnic Committee and the Wellness Committee. She also participated in many community events outside the company, including the St. Patrick's Day run and volunteering at the Animal Rescue League.